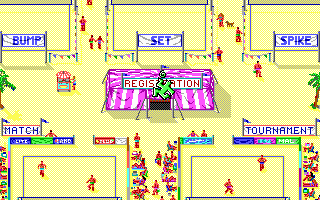 I was searching mininova yesterday and I found this volleyball game, it's really nice and very easy to play, it's from the 2006 season but you can use editor tool on the menu to edit the teams, it both women and many, many NTs and you can even chose the gymnasium you want to play at on the quick game mode. And it's in english, only the country names are in german. And if anyone need help with the torrent file just ask ok? 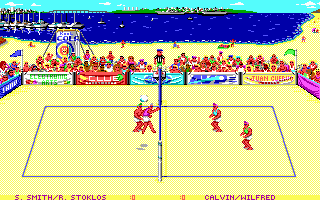 Do people in yours country play in volleyball PC games, if yes, what games?? you can play witch others people for the internet thanks that, game is brilliant. This is link for one of tournament http://www.digandspike.lhl.pl/ , from you can download game. I`m interesting , in your country are sites about D&S. Edited once, last by fanuel ( Apr 27th 2008 ). I cannot run the program, can someone teach me how to operate the program?? Polish League D&S, the best polish players maybe the best in the world, for more information send message on DigAndSpike@gmail.com or invite our website. http://sunprojekt.ovh.org/phpbb/viewtopic.php?t=694 - this is topic - "How tu Register?? ", next you can ask on forum other questions, like: "How tu play??" or "Where can I download this game?"" But, How are we downloading this game ? From 2005 I play in International Volleyball 2004. Great Game. Here is link http://www.cscenter.pl/gry_dow…_pelna_polska_wersja.html There are two links to download this game. New game for 2010 Women World Championship??? The worst game, which I saw. I don't understand, why EA doesn't want to do volleyball game. Lega Volley Femminile 60o Campionato is super game(I have demo of game)But I want free download full game?Linkk ?? hey, any updates on how to download the game? 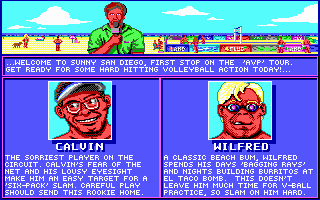 i've been looking for a decent volleyball game. Internation Volley 2006 is good, but i found it too easy now, since the enemy can hardly retrieve any balls if you do a quick set. Funny I was just looking for this thread. Yes from that website looks like they are just distributed to different areas. I just got IV 2009 but so far my best set is a 25:5 loss. I guess I must practice.